A seasoned account service professional, Amanda is not a “yes” person. She is a “why” person. Her approach to problem solving for clients is thorough, and she encourages questions to ensure deliverables are always grounded in strategy. Familiar with working across geographies, Amanda is a people-person who knows how to bring teammates together to achieve a common goal: success for agency clients. She values all opinions brought to the table, and her nearly ten years of experience serving as an account lead well-equips her to both collaborate with and lead multi-faceted creative teams. 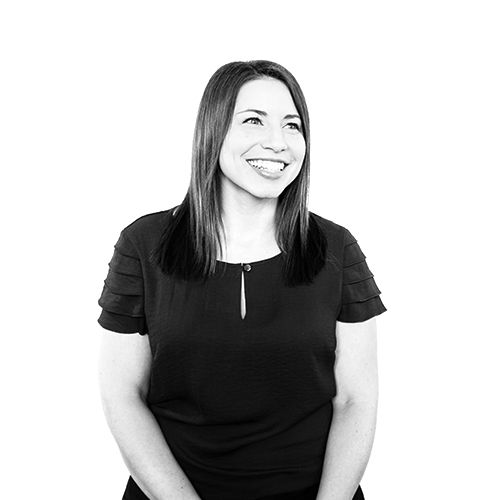 Prior to joining The Atkins Group, Amanda served as a member of the account service team for USAA at Campbell Ewald, a full-service advertising agency with locations in San Antonio, Detroit, Los Angeles and New York. Before her time at CE, she worked in the Dallas market at The Marketing Arm, a marketing and promotion agency specializing in entertainment, sports, cause, event and digital marketing. Her time at both agencies well-prepared her to lead the frontline while overseeing projects, armed with an upbeat disposition that puts clients at ease or anyone she meets. Frito-Lay, USAA, Servitas, Campus Living Villages, Grapevine Parks & Recreation, Visit Plano, and Schreiner University.